I don't even need to tell you at this point that I like the box of March! 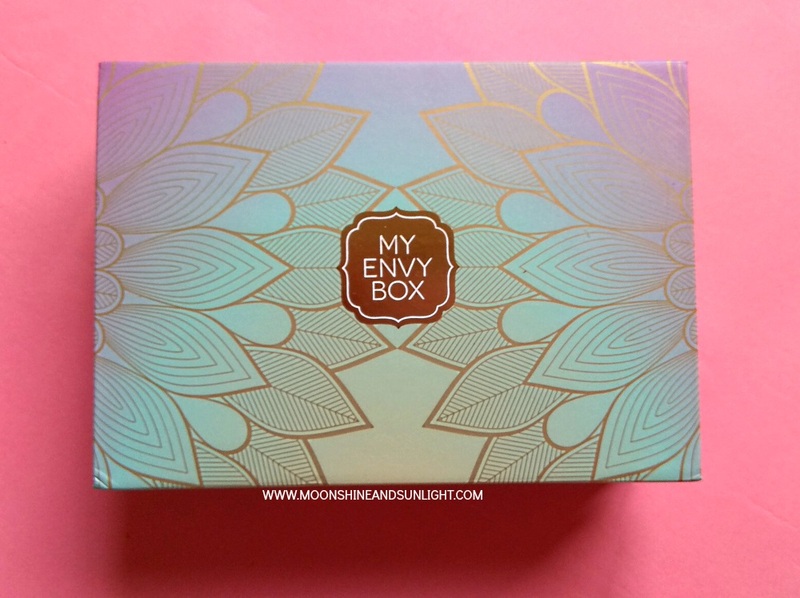 My Envy Box, makes it so that every box is beautiful. The design this month is something I'd like to recreate on my nails. Been too long since I did some nail art. 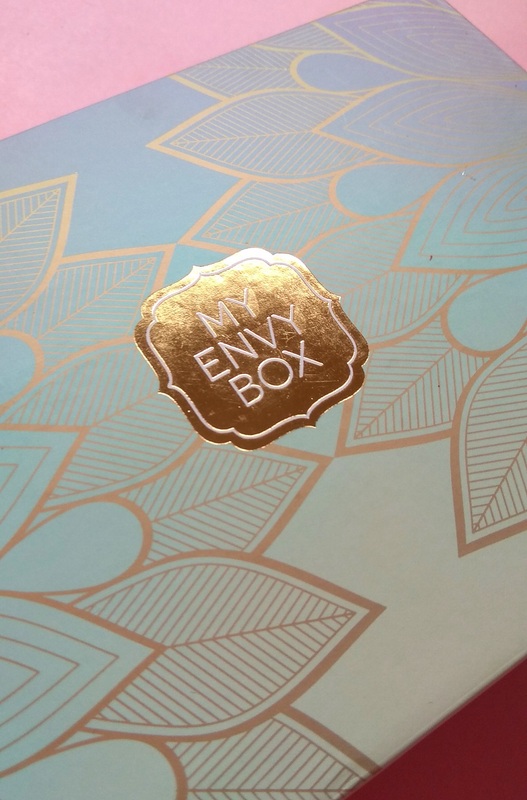 Let's see what's inside the pretty March My Envy Box. The mrp of this one is 699 INR and you can get a 20% off if you use MYENVY20 to purchase this from their website. They have 4 universally flattering shades and I got a peach-y red shade, called Peach Glow! More about it soon! Same discount for this too! They have 4 shades for this one as well. A pure gold highlighter is also available, which looks fantastic! I received a silvery-white color called White Christmas. I have never used this light shade of a highlighter, let's see how it looks on me. With the transition in the weather, this is required. And since I have already told you that I love their products , I am really looking forward to using this. I have always LOVED using turmeric ubtan, but since I started staying alone, I have been to lazy to whip some up. So I am super happy with this! 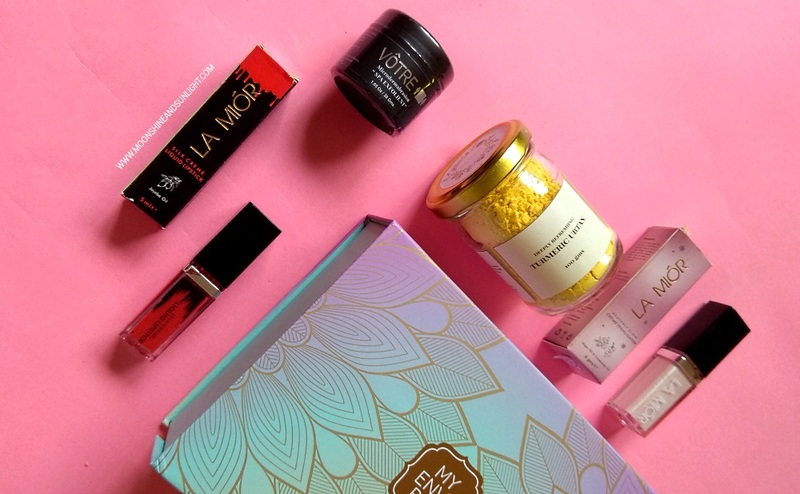 All in all, 4 full sized products which I can see myself using, is pretty great for a month's beauty box! You are right. That box is so beautiful. Will love to see your nails inspired from it. 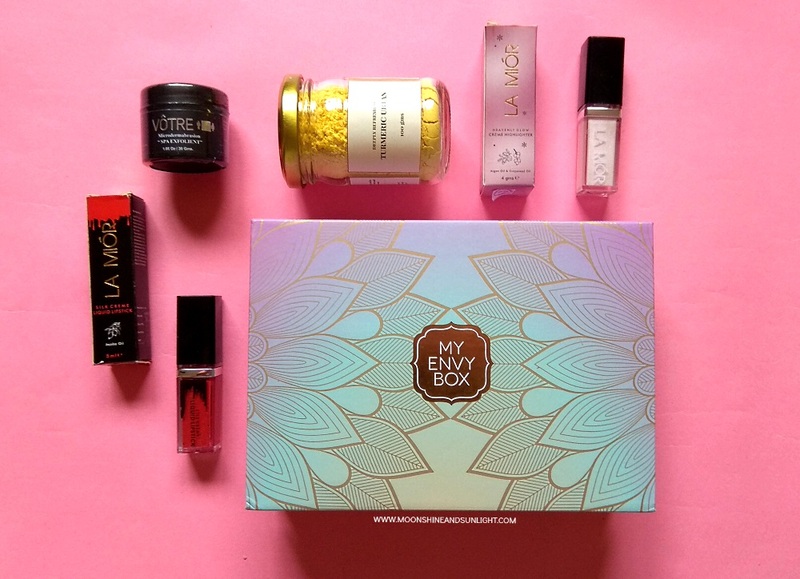 Lovely beauty box!